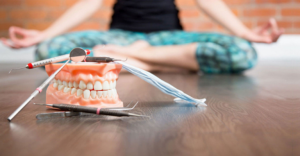 There are lots of raised eyebrows when we say Yoga is related to Dental health. However, we are not kidding. Yoga not only improves your thoughts, flexibility, balance but also your dental health. Can anyone of us claim that we don’t have any stress? Not so all of us have some kind of stress or the other. Stress causes a lot of oral problems. First of all stressed individuals do not concentrate on the maintenance of oral hygiene. 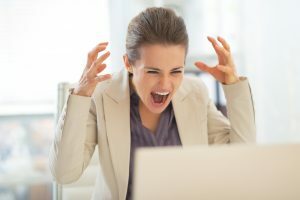 Secondly, stress causes individuals to bite or clench their teeth often causing, wearing of teeth and problem with jaw joint. Thirdly there is decreased saliva production causing dry mouth and increased risk of dental decay. Fourthly stress causes ulcers in the mouth called aphthous ulcers. Fifthly stress increases production of inflammatory cytokines aggravating gum inflammation. Sixthly stress can cause burning sensation of the mouth, the condition often termed as Lichen Planus. All the above conditions can be treated with the State of the art facilities available at Apollo WHITE Dental by our experts. But can this be prevented?? Yes with regular Yoga practice, your stress is reduced as both your mind and body rejuvenate and all these above problems can be reduced. Yoga also reduces inflammation in both your mouth and body. So, visit us for a check-up, solve your existing problems and do Yoga to prevent further dental problems. Poor posture not only affects your spine and neck but also your teeth. When you slouch or hunch over, your lower jaw shifts forward. This causes your upper and lower teeth to come out of alignment. The skull also moves back and compresses the spine. This movement causes stress to the surrounding muscles, joints, and bones, and if left untreated, can create pain and inflammation in the muscles and joints when the mouth opens and closes. If allowed to persist, bad posture can lead to jaw issues like temporomandibular joint disorder. Some common complaints include chronic headaches, pain or a clicking sound when opening the jaw, tenderness of the jaw and face, and a change in jaw alignment which can result in uneven wear of the teeth or cracked teeth. So, by improving your posture with a practice such as yoga, you can take the strain off the jaw and prevent a whole world of issues, not just issues relating to your jaw and teeth. Saliva, a key ingredient for washing away bacteria and food particles, contains antibacterial enzymes that break down food and make food easier to swallow. Decreases salivary production is directly related to increased oral bacterial count. This is the reason for “morning breath”. In simpler terms, dry mouth creates an environment where bacteria can thrive. A chronic dry mouth can then cause plaque buildup, tooth decay, and gum disease. Practicing yoga is a great way to learn proper breathing techniques that help prevent your mouth and throat from drying out. It can also stimulate the salivary glands. Yoga poses such as forward bends, twists, and inverted poses are known to increase saliva production. Breathe in and produce a snoring sound from the back of your throat and then exhale Swallow any saliva which collects in your mouth while releasing the gesture. Many people face some difficulty in accomplishing this mudra because their frenulum (the membrane under the tongue) does not allow the tongue to reach far back and up. However, the regular practice of the khechari mudra makes the frenulum more flexible over a period of time. By stimulating saliva production through yoga practice, you can aid our bodies in reducing the growth of bacteria in our mouth and mitigating the spread of toxins through our bloodstream and in our digestive system. 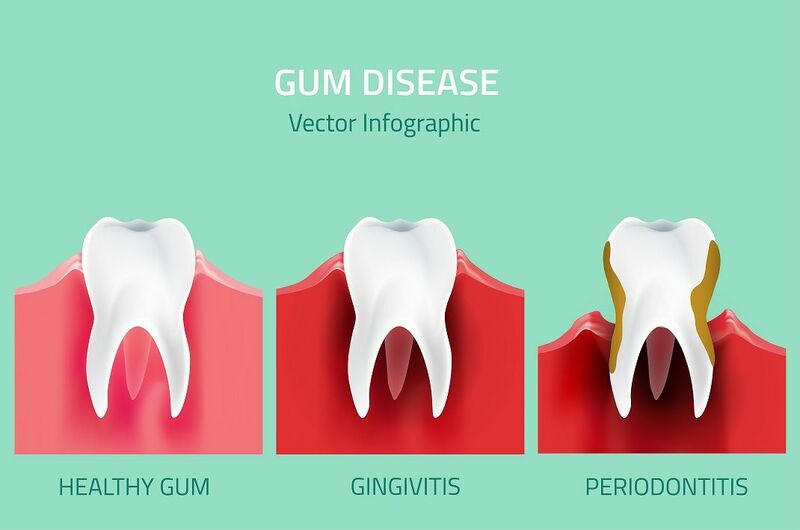 By reducing stress, improving posture, and stimulating saliva production, we can help prevent a number of dental health issues, from plaque buildup to enamel erosion and tooth decay. Bad breath or halitosis is a symptom in which a noticeably unpleasant odour is present on the breath. It causes anxiety in affected individual, firstly because it is a social stigma and secondly to know what can cause bad breath. There are several reasons for bad breath including improper oral hygiene, improper tongue cleaning, gum disease deep decay. Bu sometimes problems with your gut can also cause bad breath. The condition is termed as dysbiosis. Dysbiosis is an imbalance between the good and bad bacteria in your gut, as well as yeast or candida in the gut. So are you stressed?? Do you want to know if you have TMJ problems or do you have complaints of dry mouth or bad breath?? 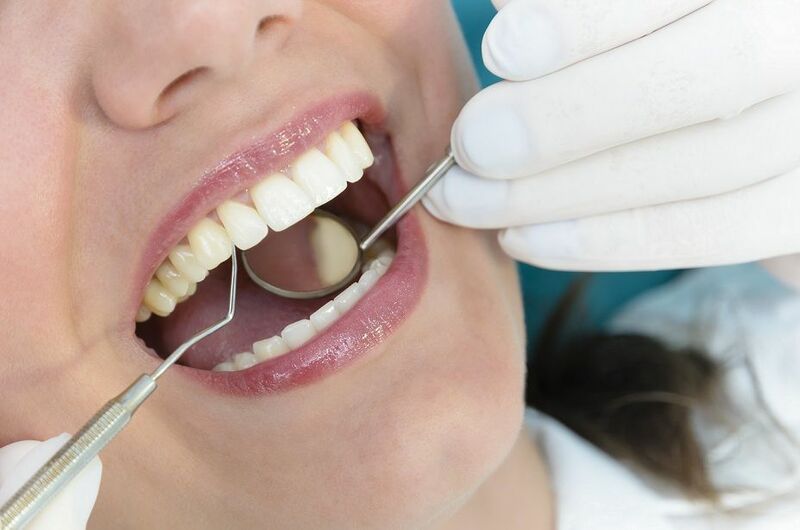 Book your appointment at Apollo WHITE Dental to solve your minor oral health problems and do not forget to YOGA reduce stress, improve posture, stimulate saliva to maintain healthy body, mind and teeth. 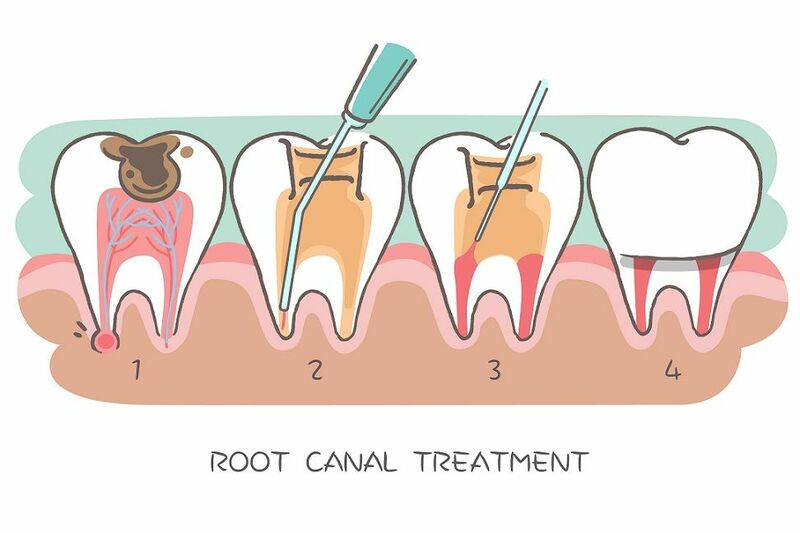 How A Decayed Portion Is Restored In Our Tooth?